Brian Ratzlaff was born in 1942 in Long Beach, California. After earning his bachelor's degree in Industrial Technology from Long Beach State College in 1966, Brian worked for Philco/Ford as an Industrial Engineer for two years before entering Officer Training School with the U.S. Air Force on February 19, 1968. 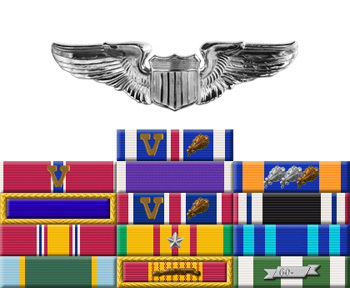 He was commissioned a 2d Lt on May 13, 1968, and then completed Undergraduate Pilot Training and was awarded his pilot wings at Reese AFB, Texas, in May 1969. Lt Ratzlaff then completed F-4 Phantom II Combat Crew Training before serving as an F-4 pilot with the 480th Tactical Fighter Squadron at Phu Cat AB, South Vietnam, from April 1970 to April 1971. His next assignment was as an F-4 pilot with the 334th Tactical Fighter Squadron of the 4th Tactical Fighter Wing at Seymour Johnson AFB, North Carolina, from May 1971 to July 1972, and then deployed to Southeast Asia with the 335th Tactical Fighter Squadron from July 1972 until he was forced to eject over North Vietnam and was taken as a Prisoner of War on September 11, 1972. After spending 200 days in captivity, Capt Ratzlaff was released during Operation Homecoming on March 29, 1973. He was briefly hospitalized to recover from his injuries at Andrews AFB, Maryland, and was medically retired from the Air Force on September 20, 1973, remaining in the inactive reserves until May 24, 1985. First Lieutenant Brian M. Ratzlaff distinguished himself by heroism while participating in aerial flight as an F-4D Pilot in Southeast Asia on 19 march 1971. On that date, Lieutenant Ratzlaff was the lead pilot in a flight of Phantoms defending a small friendly force under imminent threat of capture or death during Operation Lam Son 719. With complete disregard for his personal safety, Lieutenant Ratzlaff made repeated low altitude attacks in the face of intense ground fire thereby allowing the friendly force to evade the large hostile force. 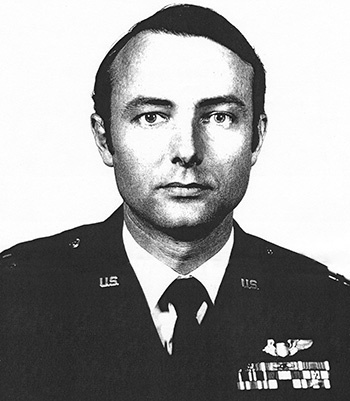 The outstanding heroism and selfless devotion to duty displayed by Lieutenant Ratzlaff reflect great credit upon himself and the United States Air Force.